This is Spooky. The first ever Intelligent Spritesheet extractor. It will automatically detect all your Sprites present in the PNG file. Although the Accuracy is approx around 96-100%. But Surely this software will help you edit any Spritesheet. 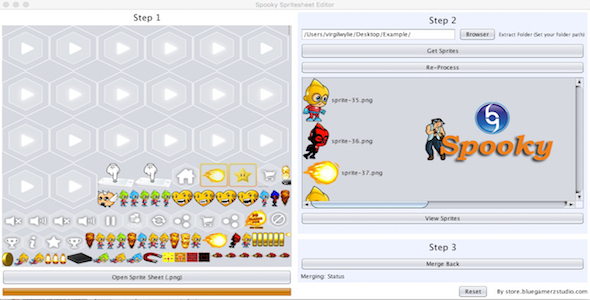 Also our favourite Merge Back feature lets you edit these Spritesheet with very ease. This software is in its Alpha level. We would be making sure this software gets more features in future. If you have lost your Spritesheet project files or you want to edit the Spritesheets outside the Spritesheet Editor softwares like Texture Packer or Zwoptex or any other tool in market then this Software could be very useful tool. We love all the Spritesheet Editors. For which we bring you Spooky our first every AI based Spritesheet Extractor which can work with any Spritesheets. 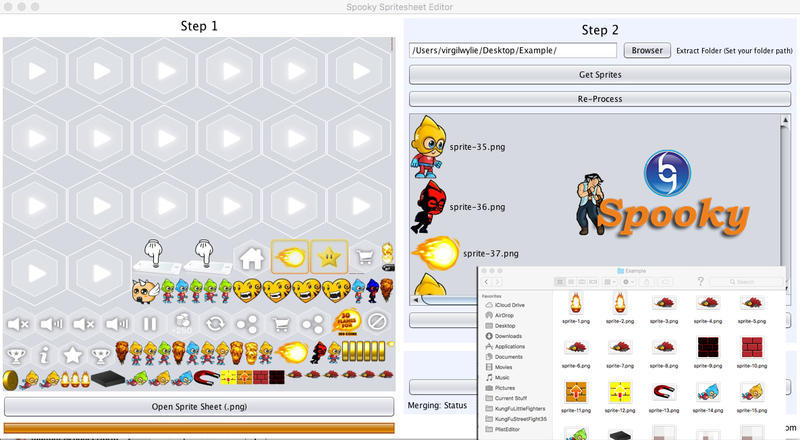 Sprite sheet decompiler Spooky will help you decompile any sprites found online. Now no need to use photoshop to slice every sprites form the sprite sheet. Now you can edit any Manga , Anime, Classic spritesheets you find online. Best results only come when the Spritesheets have transparent background. This is a phaser spritesheet.